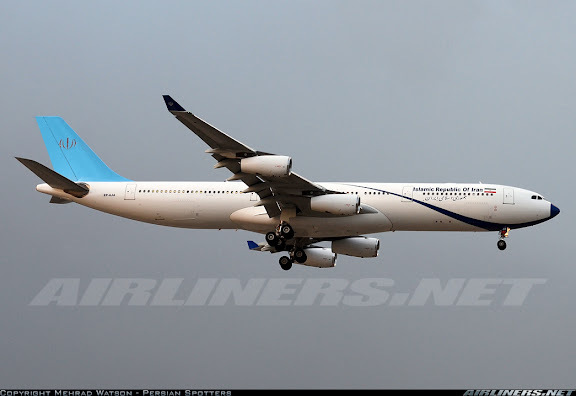 Newly acquired Meraj Airlines A340-313, reg. 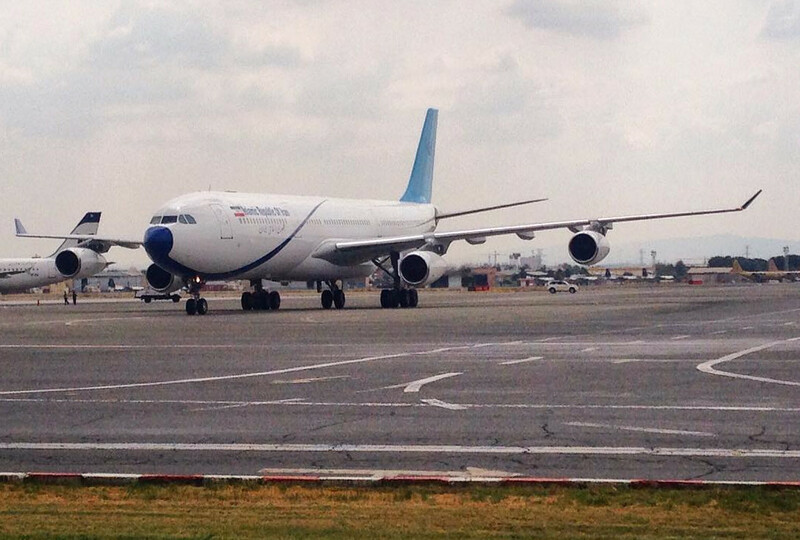 EP-AJA (cn 257) as photographed by "shahram16216" at Instagram on 18SEP15 at Tehran - Mehrabad International Airport (THR). Meraj Air (JI, Tehran Mehrabad) has taken delivery of its maiden A340-300, ex-AirBlue (PA, Karachi Int'l) machine EP-AJA (cn 257), that was originally reported as being destined for Asian Express Airline (Tajikistan) (KV, Dushanbe). Originally listed as heading for Singapore Changi, the quadjet was seen arriving at Tehran Mehrabad on Tuesday, September 15. Reports out of Iran indicate the aircraft has already been reconfigured for VIP operations for the Iranian government and is sporting "Islamic Republic of Iran" titles. COMMENTARY: First flight for this aircraft was Jan. 1999, making its age 16.9 years. Even so, this four-engine jetliner represents a more suitable VIP aircraft than far older Boeing 707-3J9C aircraft serving IRIG. It's also the first four-engine jetliner delivery to Iran since the signing of JCPOA. Successful implementation of the nuclear agreement accords Iran access to aviation purchases and deliveries previously barred by sanctions. Meraj Airlines A340-313, reg. EP-AJA in partially applied IRIG livery; photographed by Mehrad Watson during 15SEP15 delivery flight to THR.